Southern Alberta farmers will be praying for thunderstorms to get their crops through this dry season, as they contend with a moisture deficit that stems back to last summer. Southern Alberta farmers will be praying for thunderstorms to get their crops through this dry season, as they contend with a serious moisture deficit that stems back to last summer. 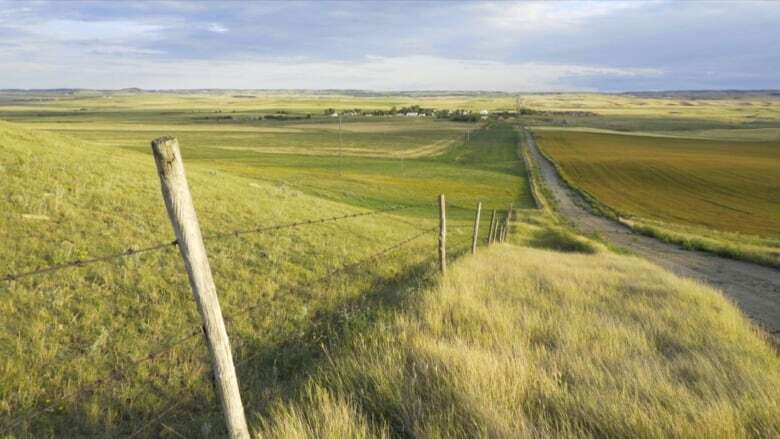 "There just isn't that soil moisture to carry the crops, ideally, through until that next rainfall event," said Ralph Wright, head of agro-meteorological applications and modelling with Alberta Agriculture and Forestry. Wright said year-over-year, some regions in southern Alberta are seeing one-in-25-year lows of precipitation accumulation, with pockets of one-in-50-year lows. But this year, there was snow on the ground up until the third week of April, preventing farmers from getting that early start, followed by one of the warmest Mays locals had seen in 50 years. "A warm June and July … helped the crops grow a bit faster, but now you're up against the dry season and looming moisture deficits." A healthy crop usually needs 25 to 30 mm of rainfall each week, Wright said, but most of southern Alberta sees 30 to 40 mm of precipitation, on average, for the entire month of August. Some weather stations, like those near Medicine Hat, detected just 8 mm of rainfall in the last two weeks of July, and less than 80 mm in the past three months. Wright said what farmers really need is what meteorologists call an "organized rainfall," which is where rain falls evenly across a region. "I think what we're going to be relying on this next little while is thunderstorms, which are hit and miss, and hopefully they hit some of the areas that need it most." Thunderstorms can bring 20 mm of rain in an hour. "So it does make a difference if you happen to be in the path of it, but these paths tend to be fairly narrow and long and variable." Alberta's last crop report for the month of July found crops were showing signs of drought and heat stress. The number of crops in good or excellent condition dropped from 57 per cent to 45 per cent from the previous week, well under the five-year average of 65 per cent. But, Wright said, farmers have a saying: "The crops are not in the bin yet and anything can happen." "Farmers have become really adept at conserving moisture and we're getting surprised at what they're able to eke out of dry conditions with the newer technology … they're getting more resilient," he said.